Ratchet fine-tooth design for minimal return angle, switchover ring (right, locked, left) maximum torque of up to 50 Nm, hexagon blade with 1/4" hexagon chuck, stainless sleeve, strong permanent magnet. Kraftform handle with non-roll feature, multi-component, integrated magazine. Hard to find a reason not buy this! If you don't have a ratcheting screwdriver, buy this one. It may seem a bit expensive, but you will not be disappointed with the quality of the ratcheting system, grip, bit storage, and the quality of the German bits. Check out the Kraftform 25 if you need something without a ratchet! Used this tool for a few hours yesterday. The grip is extremely comfortable, allowing maximum torque and less fatigue. Quality is outstanding, the ratchet function is very smooth and didn't skip a beat !!!! Tool is of extremely High quality, very smooth ratchet action. The actual design is very nice, with the integrated storage and comfortable grip. I chose this one over the other options for the slightly narrower bit holding end. It feels very solid. I was concerned if the pop-open handle would have any give or flex to it. Nope. Solid to the point it feels like any normal solid-handle driver when in use. I recommend the 25mm length Wera BiTorsion Diamond coated bits, especially for replacing Philips #1 and #2. They have much more grip than the ones included with the driver. rocks!!! It is a tool that I can't live without!! I purchased this kraftform screwdriver and couldn't be happier. The shipping was fast and ordering was so easy. Been using it at work and glad that I have the bits I need right at my finger tips. 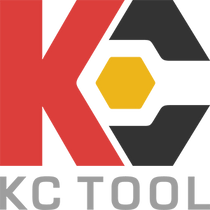 I would definitely buy from KC tools again. As soon as I'm finish with this review I would be browsing to see what other tool I can and will need. Thank you again KC TOOLS. Keep up the good work, and low prices.